The guys at Big Fish Games are back with yet another thrilling supernatural adventure called Fear for Sale: 13 Keys (Full). 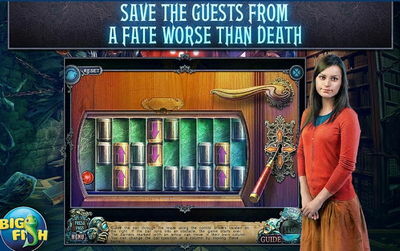 The game is a Hidden Objects puzzler where you get to investigate paranormal activity in The Hotel Berkeley, and save the guests from their doom. To do that, you will have to spend the night in the dreaded 13th room, investigate various locations, solve puzzles and collect clues, etc. 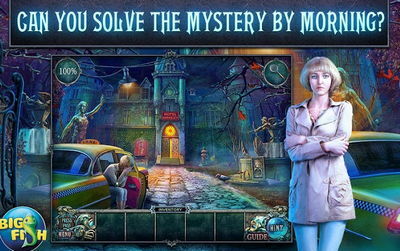 - Survive the night and solve the mystery by morning. - Confront the dark truth behind the uninvited spirit and banish it out. - Play spooky puzzles and mini-games to find out what’s haunting this once idyllic destination. - Unravel the Berkeley family’s past and enjoy additional Collector’s Edition exclusives including morphing objects and collectibles. Install APK, Extract OBB to sdcard Android/Obb , and play.